Full Disk Encryption is the term used to indicate a technology that encrypts your entire hard drive. Why should you use it for your own computer? Because, the Windows authentication password system is very weak and can be easily bypassed. So don’t trust to much that your Windows password it’s enough. If your computer is stolen, it’s possible to log on it and to explore all your files, pictures, documents, web browsing history. To avoid this, some tools can encrypt the entire disk of your computer. It means that, at every startup, you will need to type a password to boot your computer. Otherwise, your computer will stay completely unusable. And a part of this password can be stored on a YubiKey for maximum convience and security. If you have Windows 7 Ultimate or a Professional or Enterprise edition of Windows 8 or 10, BitLocker is already ready to run on your computer! Here a nice post on how to set-up BitLocker encryption. If you don’t have any of these versions of Windows, the other solution is VeraCrypt. VeraCrypt is a free and open-source utility used for encrypting the entire storage device with pre-boot authentication ; it’s like BitLocker. Here another post on how to setup VeraCrypt. 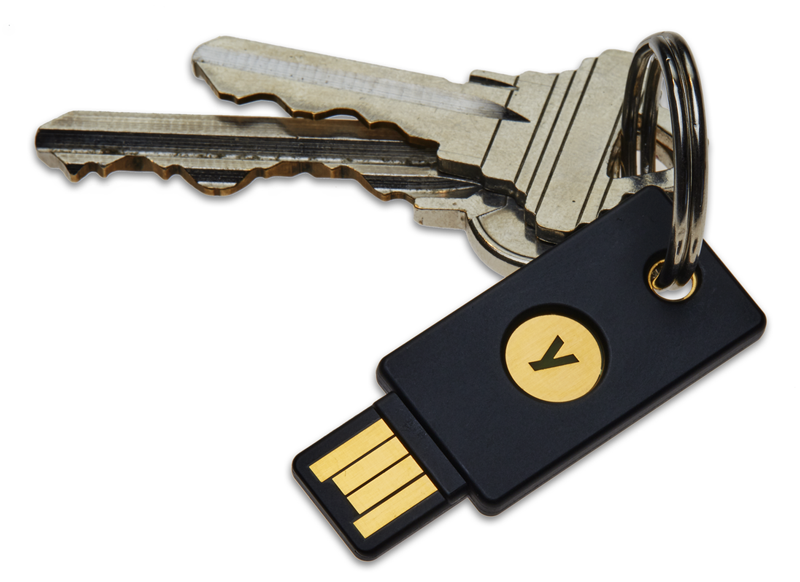 A YubiKey is like a small USB stick key and it works like a keyboard: when you plug it and push its button, it will write a sequence of characters that you would have set up before and finally type the “Enter” key. 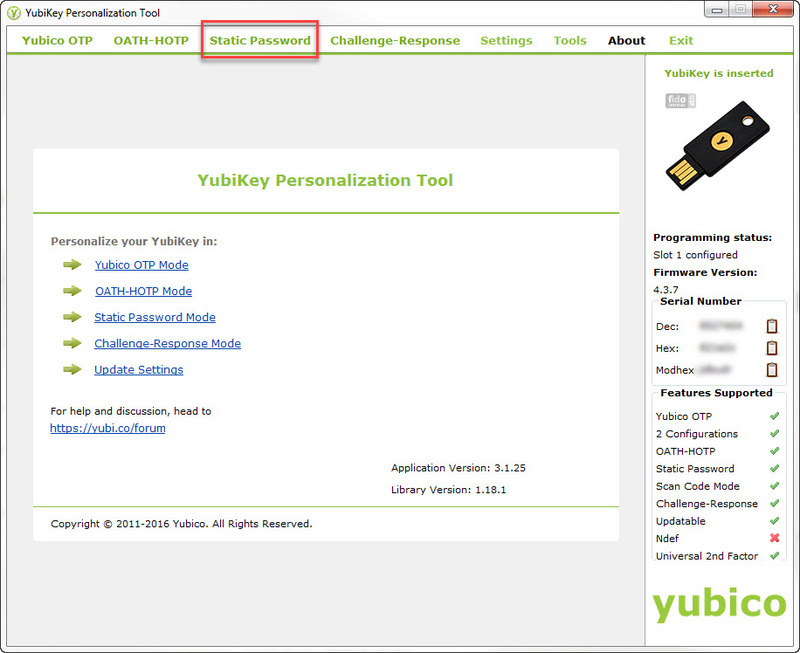 How to store the end of your password in the YubiKey? Actually, BitLocker and VeraCrypt require that you type a password to set up the disk encryption. 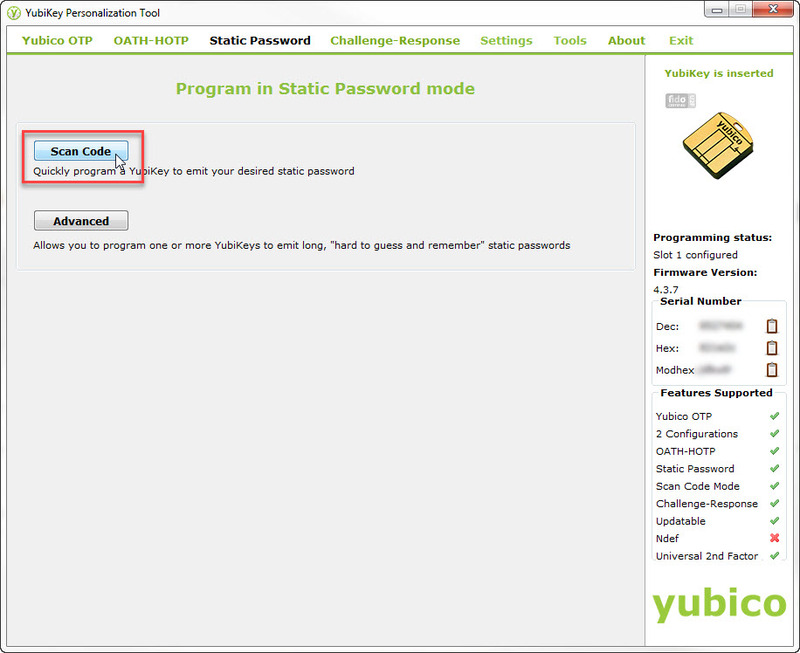 To avoid to use a weak password, the YubiKey could help you a lot: the first part of your password is known only by you (and you have to type it everytime) and the second part of your password is stored in the YubiKey, and you don’t need to know it. It’s like a double authentification. 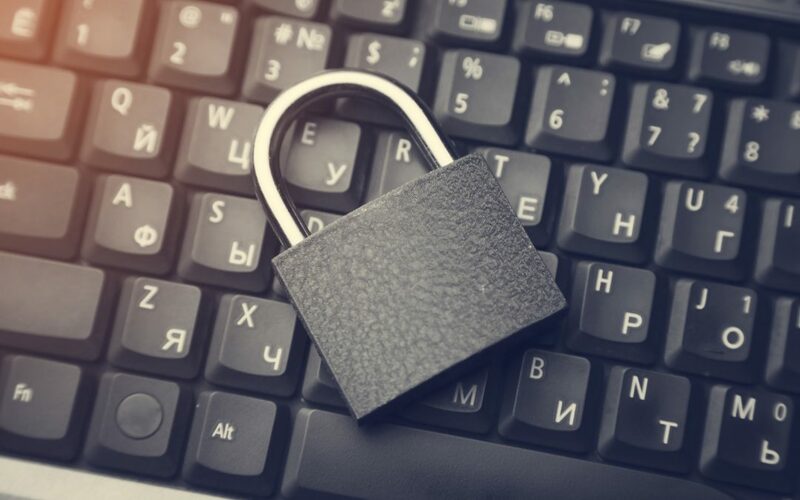 Now, you are ready to set up BitLocker or VeraCrypt: the the first part of your password is known only by you (and you have to type it everytime) and the second part of your password is stored in the YubiKey. However, be sure to store your complete password in a safe place, just in case you forgot it or loose your YubiKey. Otherwise, it will be impossible to boot your computer!